This book explains the step-by-step process in starting a colt under saddle. It includes chapters on: round pen & facilities; equipment; catching a horse; leading; typing up; longeing; sacking out; first saddling; introduction to the bit and much, much more. 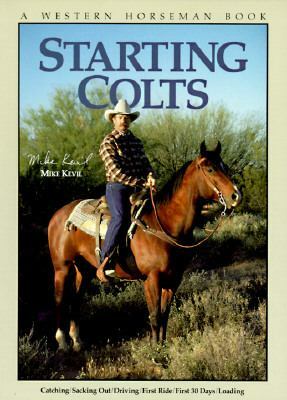 (8 x 11, 168 pages, b&w photos)Kevil, Mike is the author of 'Starting Colts: Catching/Sacking Out/Driving/First Ride/First 30 Days/Loading', published 2002 under ISBN 9780911647211 and ISBN 091164721X.